Some of the most exciting resources for genealogists are the online databases and microfilms of old newspapers and journals. 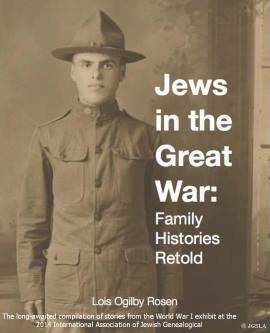 From the scanned and digitized New York Times, Los Angeles Times, Chicago Tribune, Washington Post, and Times of London–to regional newspapers and Jewish community journals, following this oft-neglected “paper trail” will enhance your genealogical knowledge. From obituaries, birth, engagement and marriage announcements, to curiosities such as “Yesterday’s Fires,” “News of the Courts,” and articles covering Eastern European towns and businesses, you will be astonished by the unexpected appearances immigrant ancestors make in the pages of these tabloids and broadsheets. Learn techniques for locating people and events meaningful to you online, with examples of unexpected insights gained into your relatives’ lives by exploring these publications. Many a family mystery has been revealed and a missing relative discovered in newspaper pages, with more of them becoming available on the Internet each year. I’ll show you “Who, What, When, Where and How” to scale your genealogical brick walls by exploring this underutilized research tool. Pamela Weisberger is the 1st vice president/program chair for the Jewish Genealogical Society of Los Angeles, and president and research coordinator for Gesher Galicia, Inc. She was co-chair of the 2010 IAJGS International Conference on Jewish Genealogy in Los Angeles, curated the IAJGS Film Festivals from 2006-2010 and was program chair for Limmud Los Angeles 2012. She wrote and produced the videos “I Remember Jewish Drohobycz,” “Genealogy Anyone? 25 Years in the Life of the JGSLA” and the satirical look at genealogical research, “Who Cares Who You Think You Are?” Documenting her family’s history for over thirty years, she has conducted research in Germany, Austria, Poland, Ukraine and Hungary with a specialty in newspaper research and cadastral maps. She lectures frequently on family history topics and works as a professional genealogist and research consultant. She holds a B.A. from Washington University in St. Louis in English and Education and an M.S. from Boston University in Broadcasting. JGSLA members free. Guests $5. The JGSLA Traveling Library will be available starting at 7:00PM. Refreshments will be served.